HomeDark Souls 3 Bonfire Crash. The annoying part of this is that the bug has been known for weeks now due to the excessive amount of journalists and streamers who got the game early, not to mention the Japanese release. Everybody assumed that this bug would be fixed by the international release but apparently it hasn’t. Hopefully this will be patched soon so we can start enjoying the game but in the meantime there are some workarounds that can be used to bypass the crashes. Firstly, the knight class does not seem to trigger these crashes so picking to play a new game as a knight is the easiest option. This stifles the ability to roleplay though and has some issues. The bug seems to occur when the player’s face is visible. Multiple reports across Reddit and the Steam Forums state that removing the helmet from the knight triggers the crashes again. this means that you cannot swap helmets for anything less than another full-face helm. If you have an existing character that isn’t a knight then you could try equipping a helmet that covers your face should you find one. But if you don’t want to be a knight there are some other methods that can be used to. For some reason, unequipping any item in the shield slot seems to allow you to approach bonfires. Playing as a mercenary myself I have tried this method and confirm that it worked for me. 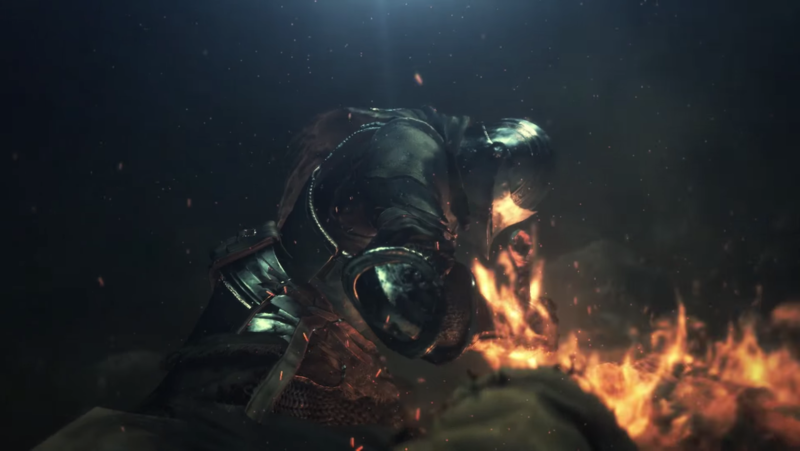 Other players have offered advice such as circling around the bonfires to activate them from the opposite side or walking up to them backwards. These seem more hit and miss though. There is also a method that involves turning the Lighting setting down to Low which many report as being a successful fix. However you manage it, good luck in your journey and fingers crossed for an official fix ASAP. ← An Interview with Miracle of Sound. Okay, so I am a knight, I wear my helmet so my face is covered, I have nothing in my offhand and the lighting is turned down to minimum. This is my usual setup I have played like this for 2 hours and now my game crashes. Just wanted to throw that out there. Not sure what’s going on there I’m afraid. After turning down my Lighting it hasn’t crashed for me since. I searched the internet this morning and these were all of the answers I could find. I’m not too far into the game though so I only hope it doesn’t start crashing again. Hope something gets sorted for you.